Car accident injury compensation. That's our specialty. If you’ve been injured in a car accident as a driver or passenger, we’ll help you get the maximum compensation payments available to you. Our specialist car accident injury lawyers ask more questions and get to know you personally, so you’ll get more compensation. I’ve just been in a traffic accident. What should I do? Time limits apply for claiming compensation for car accident injuries. You need to lodge your claim within 28 days of the accident to be reimbursed for income you’ve lost since the accident. If it’s been more than 28 days we can still help you claim compensation, so it’s best to speak to a specialist car accident compensation lawyer as soon as possible and get advice. It costs nothing to call Law Partners for advice, and we’ll put you straight through to a specialist car accident lawyer. You’ll need to know the registration number of the vehicle that caused the crash, and it must have been reported to the police. If you have dash cam footage or you can get photos of the accident location and any damage to your car that can be helpful too. You should also keep records of all your medical treatments and expenses, and if you were working at the time of the accident keep some pre-accident pay slips. However your Law Partners solicitor will help you with this, and will manage your claim and arrange for all the additional medical and other evidence we need to make sure you get your full compensation entitlements. Find out how we get you more. We make the claim process easy for you. We'll get to know you personally, listen to your side of the story and give you free advice on your options. We'll look beyond the obvious and see if your injuries have led to other complications, to claim everything you're entitled to. Led by your lawyer, your dedicated team including hand-picked medical specialists will build strong evidence to maximise your claim. We win over 99% of our cases and we'll fight until you receive the compensation you're entitled to and deserve. Your compensation will be paid into your bank account. There are no upfront costs. We’ll provide free claim advice, we’ll cover all the costs to prepare and run your case and we only get paid when you receive your compensation. Also, just like a mobile phone bill, we put a cap on our fees so there are no nasty surprises at the end of your claim. You should feel comfortable that you can speak to your lawyer any time, without worrying about the cost getting out of control. There are also many situations where you can get your solicitor’s fees paid by the insurer, so there’s never any cost to you. Where can I find a car accident injury expert in my area? Law Partners is Australia’s largest specialist personal injury firm, and we have 25 local offices. We have solicitors and legal teams who specialise in car accident injury claims. If you don't live close to one of our offices we can provide free advice over the phone, and we can represent you without you having to leave your home. Call 13 15 15 speak to a specialist. Am I eligible for a lump sum? If your injuries have been assessed as non-minor and you weren’t the driver at fault, you’re entitled to make a common law damages claim for a lump sum. A lump sum claim is the only way to get support beyond 24 months after your accident, and these lump sum payments can be substantial. But before you lodge your claim for a lump sum, take some time to understand how the lump sum claim process works, to make sure you give your application the best possible chance of success. Many injuries get worse over time, and psychological injuries can take some time to develop. So if you believe your condition has worsened or you’ve developed symptoms of psychological injuries, you should consider lodging a common law claim for a lump sum. For example, you may have suffered a minor whiplash injury, however the pain medication you have been taking has started to cause you digestive issues, which are regarded as non-minor. You can read more about lump sums in this article. Why is the insurer telling me I don’t need a lawyer? The new CTP scheme is designed so that you can lodge your own claim without using a lawyer. In fact, even if a lawyer does help you lodge your claim, SIRA doesn’t allow the lawyer to charge for their time. So essentially the scheme has been set up to keep lawyers out of the claim lodgement process. However, the insurer that assesses your claim does have lawyers on its side – as well as medico-legal specialists, accountants and other experts. The insurer’s team of experts will be assessing your claim and making a decision about how much compensation they’re going to pay you. So if you don’t have legal support, the CTP scheme clearly puts you as the claimant in a position of weakness, and at the mercy of the insurer that’s assessing and paying your claim. 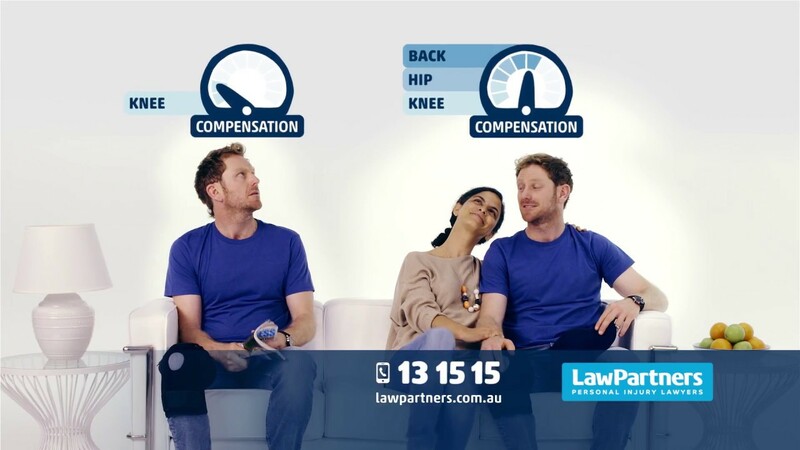 The good news is you can even the score by calling Law Partners on 13 15 15, and we’ll assist you with lodging your claim – it’s a free service. Or, if you’d like to read more information about the CTP scheme, we’ve published a series of articles on ctpclaimadvice.com.au. Ready to start your claim?